In the current scenario, Firefox is considered as the most popular and widely used web browser that holds roughly 30% of the total browser market, second only to Internet Explorer. This is the most demanded web browsers among web designers and web developers as it provides several tools to make their work easier, efficient and eye-catching. Before you start you may like to read our previous articles about Google Chrome Extensions and Popular Firefox Plugins. The greatest advantage of using Firefox is addons, those little pieces of software that ultimately enhances your overall web browsing experience. As a professional, you can make use of these Firefox addons to enhance and increase the capacity and performance of your projects. Here’s a look back at the top-notch Firefox addons of 2012 that every designer and developer need to check out. Pixlr Grabber: With Pixlr Grabber addon, you can now easily grab screens and pull images from the web. It allows you to copy, save, share and even edit your final grabs including any image or background with just a single right-click. Web Developer: Web Developer addon offers the web developer community an easily accessible toolbar, which contains manifold developer tools. These easy to use, functional tools are ideal for developers who need rapid access while working. FireFTP: FireFTP addon allows you to transfer your files in seconds. It provides intuitive access to FTP/SFTP servers. Furthermore, it is designed with a host of other valuable features for web developers including directory comparison, SSL encryption, remote editing and so on. ColorZilla: With this Firefox addon, you can pick the right color for giving the right look for your website or blog. ColorZilla enables you to pick a color from any web page and capture the color’s hex code which you can easily copy and then paste elsewhere. This addon comes with a palette browser and a color-picker tool. IE Tab: Design and format of a site differs within different browsers. Hence you need to check multiple browsers to ensure that everything is working fine. To make this task easy and simple, you can make use of IE Tab Firefox addon. Simply right click on a link and see how your web page looks in Internet Explorer. HTML Validator: HTML Validator addon ensures that you are writing well-formed HTML. This Firefox addon checks your markup for standard compliance and if it finds anything wrong, it tells you the reason for it so that you can update the code. MeasureIt: MeasureIt addon gives you a ruler that you can use on your web page for measuring items. Since any web design relies on proper sizing of design elements, this addon is highly beneficial for web developers and designers. Page Speed: Page Speed addon comes with unique page weight analyzing feature. It analyzes your web page and tells you where improvements can be made to increase your website loading speed. There you have it, the top Firefox addons for 2012. 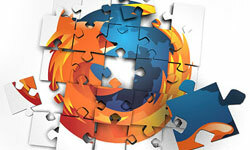 Try to implement these addons into your Firefox browser and enjoy the immaculate benefits of it. Alfred is a tech lover who writes for Dot Com Infoway, a multinational and website development company offering web development services to business needs with their expert team. We can use these Firefox add-ons to enhance & increase the capacity and performance of our projects. All firefox add-ons are helpful to multiple browsers to ensure that everything is working fine. Some really good thoughts on design!